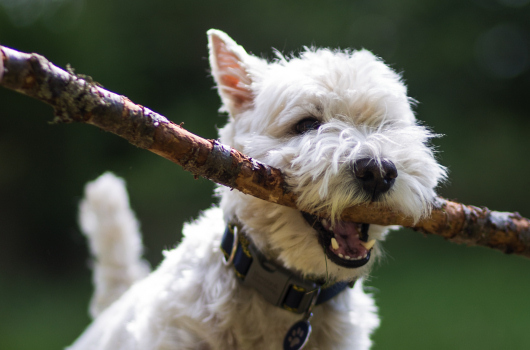 Our self-catering holiday lodges near Crieff in Perthshire are pet friendly, making Loch Monzievaird a wonderful place to bring your favourite friend! 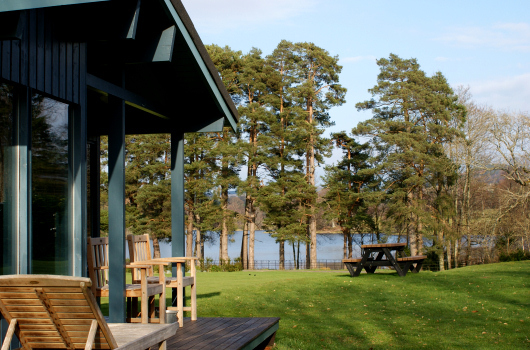 There is a lovely walk around Loch Monzievaird which takes 30 to 45 minutes through trees and along open loch side. There are waste bins at either end of our property where you can leave dog-poo bags. If you find yourself without a bag, there is a dispenser next to the waste bin near Lochend Cottage. There are also dozens of other walks that you can take from here without getting into your car. 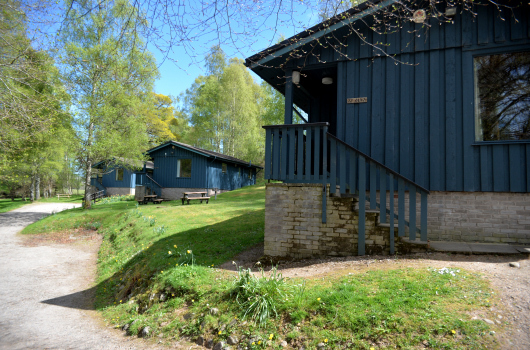 Directly opposite our entrance is a track that leads into the local network of marked paths, including a lovely walk alongside the river Earn into Crieff. Visit www.walkhighlands.co.uk for more information on walking in our immediate area. We naturally have some rules and restrictions for pet owners. We don't allow you to leave your pet on its own in our properties unless in a crate or cage, as unfamiliar surroundings can lead to unfamiliar behaviour! Dogs are not permitted into the bedrooms or on to any furniture. If your dog does not walk to heel, it must be on a lead in the immediate grounds.